Kelley has been a fan of Major League Baseball since the 1960s, and his favorite team is the Los Angeles Dodgers. 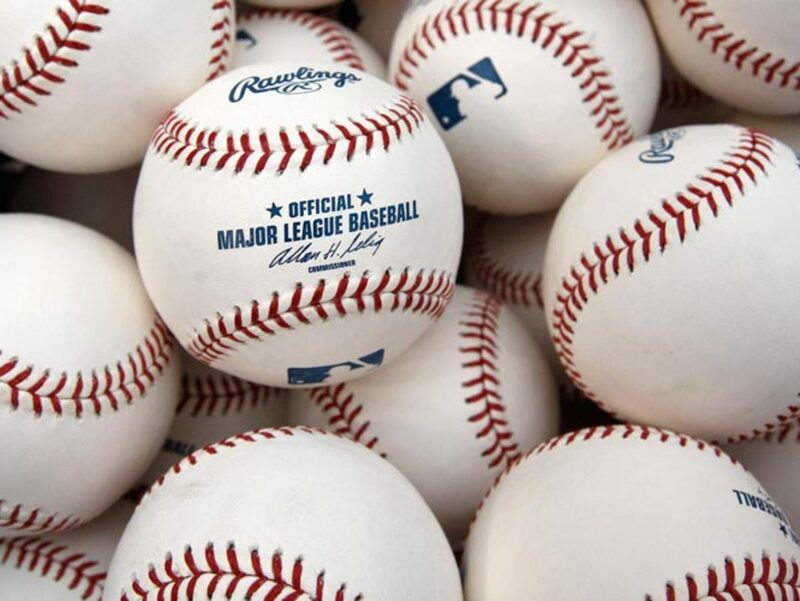 This list includes players who played most—or at least a large portion—of their careers with the Los Angeles Dodgers, as opposed to the Brooklyn Dodgers, though a couple on the list began their careers in Brooklyn and then moved west with the team in 1958. Also, this compilation only includes retired players and is not written in any particular order. 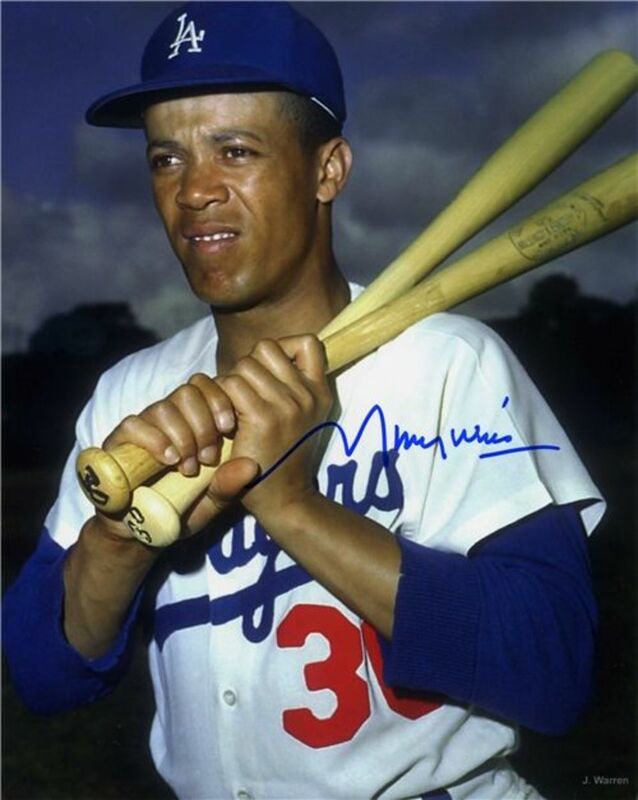 Maury Wills was a switching-hitting shortstop during the glory years of the Los Angeles Dodgers in the late 1950s to middle 1960s, when the team won three world championships. 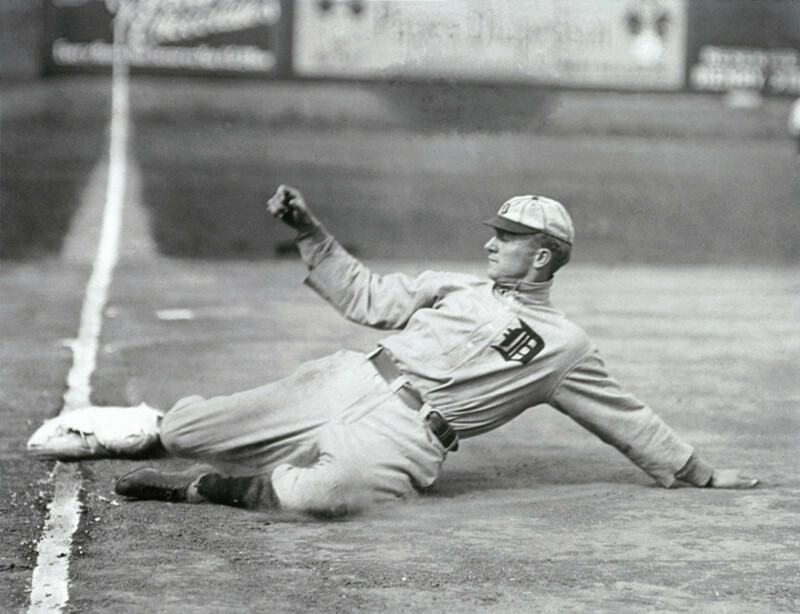 Wills usually batted lead-off and did what he could to get on base, compiling a lifetime batting average of .281 and an on-base percentage (OBP) of .330. 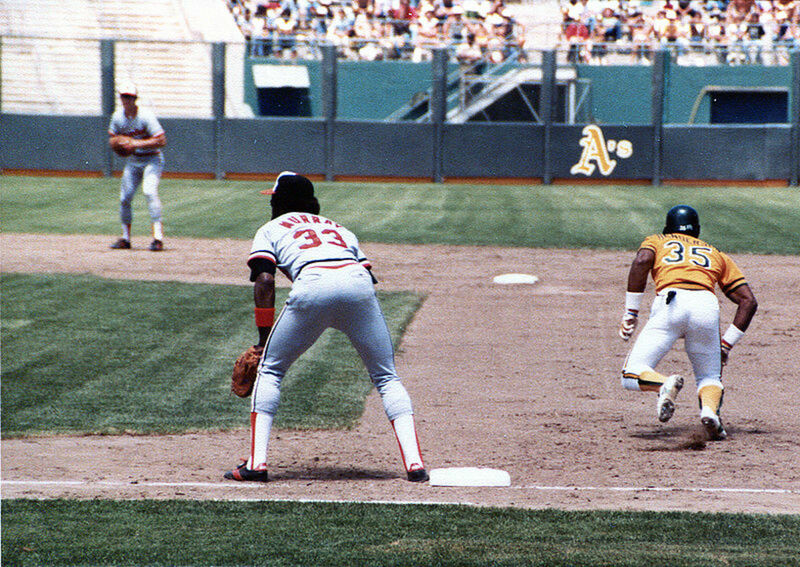 An excellent fielder, Wills won two gold gloves. Wills’ greatest year was 1962 when he broke Ty Cobb’s stolen base record by swiping 104, helping revive that part of the game in MLB; he also batted .299, had 208 hits and scored 130 runs. For Wills’ feats that year, he won the National League (NL) Most Valuable Player (MVP) Award. Nicknamed the “Left Hand of God,” left-handed starting pitcher Sandy Koufax is legendary in the lore of Dodger Blue. Koufax was one of the best pitchers in MLB from 1961 to 1966, compiling awesome statistics. Koufax had a two-pitch arsenal – a 100 mph fastball and a curveball that may have been the best of all time. Over Koufax’s relatively short career, he won three Cy Young Awards (when only one was given), as well as an MVP Award. Also, for three seasons he won the Triple Crown for starting pitchers: most wins, strikeouts and lowest earned run average (ERA). He also threw four no-hitters, one of which was a perfect game, and was elected to the Hall of Fame in 1972. Tragically, Koufax could have pitched longer, retiring at 30, if he hadn’t needed Tommy John Surgery, which hadn’t been invented yet! Not since the days of Roy Campanella in Brooklyn had the Dodgers seen such an awesome, power-hitting catcher. In fact, Piazza not only hit for power, he also hit for a high batting average. In 1993, Piazza hit 35 home runs, knocked in 112 runs (RBIs) and batted .318, enough production to win the NL Rookie of the Year Award. And Piazza continued putting up Triple Crown numbers for the Dodgers, particularly in 1997, when he hit 40 home runs, knocked in 124 runs and batted .362, nearly winning the batting title. 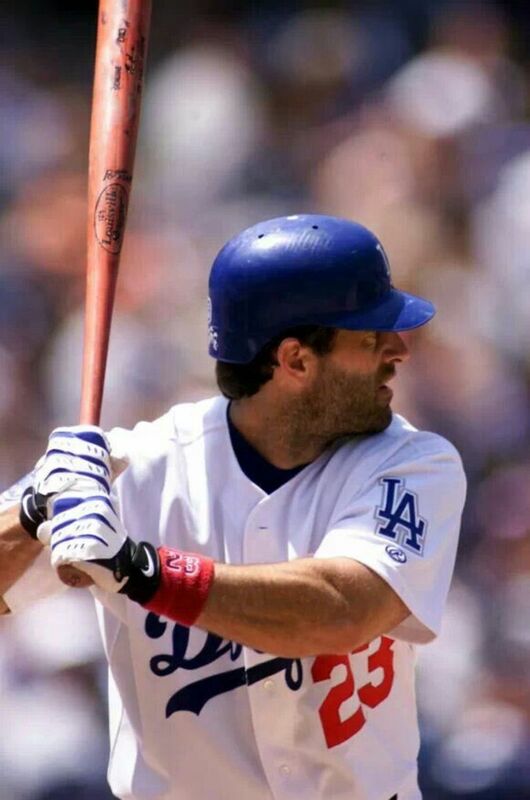 Moreover, having hit more home runs than any catcher in MLB history (396, 427 in total), as well as achieving other impressive batting achievements, Piazza was elected to the Hall of Fame in 2016. Not surprisingly, Hershiser easily won the Cy Young Award that year and then led the Dodgers to the playoffs, becoming the NL Championship Series MVP, and then to the World Series, which the Dodgers won, garnering the World Series MVP Award as well. 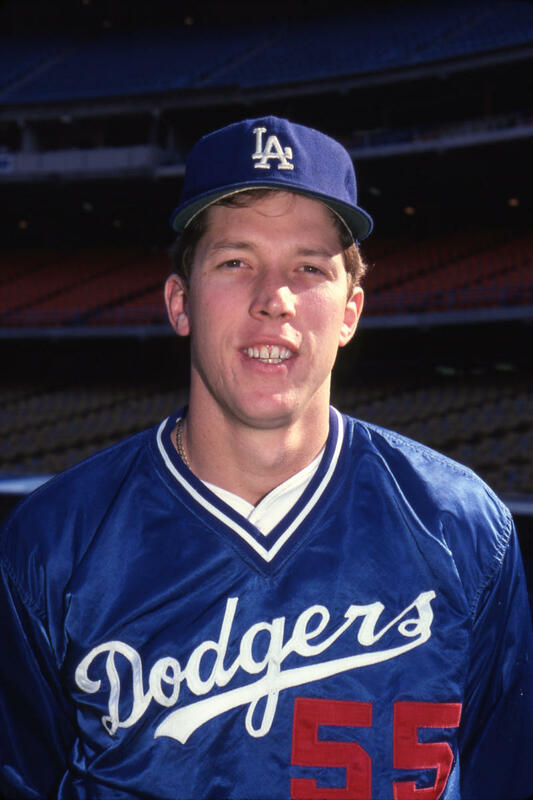 Hershiser also had many other fine seasons with Dodger Blue over 13 years. 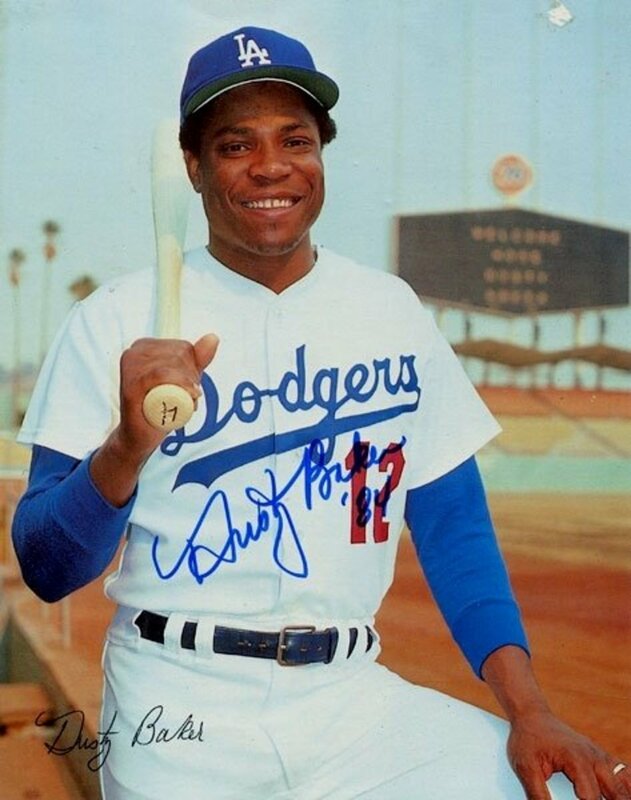 Traded from the Atlanta Braves to the LA Dodgers before the 1976 season, Dusty Baker, after having knee trouble that year, eventually became a fixture in left field, winning a two Silver Slugger awards and one Gold Glove and generally batting third in the order, where the best overall hitter usually resides. Moreover, in 1977, Baker was one of four Dodgers who hit over 30 home runs that season. Showing an excellent combination of hitting for average, power, speed and defense, Baker helped the Dodgers win the National League pennant in both 1977 and 1978, as well as the pennant and the World Series in 1981. Baker played eight seasons for the Boys in Blue. 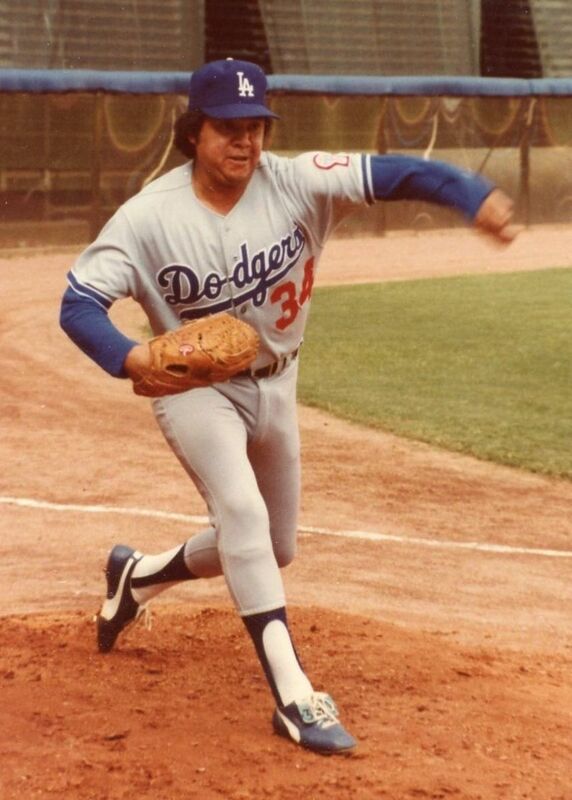 Nicknamed “El Toro” (the bull) or, jokingly, “El Gordo” (the big one), Fernando Valenzuela had a legendary season in 1981, when he the won the NL Cy Young Award and the NL Rookie of the Year Award, the only time an MLB player has achieved such a feat. Generating what came to be known as Fernandomania, at least in Los Angeles, Valenzuela helped the Dodgers win the NL pennant that year, as well as the World Series. Generally referred to as Fernando, his best pitch was the screwball or “screwgee,” an off-speed offering that confounded many hitters. Interestingly, Fernando threw a no-hitter for Big Blue in 1990. And, definitely a good hitter for a pitcher, Fernando also won a two Silver Slugger awards, while playing for 11 seasons as a Dodger. Nicknamed “Mr. Clean,” because of the straight image he showed while playing baseball, Steve Garvey had many accomplishments while playing for Dodger Blue. He won the National League MVP Award in 1974; he was selected to the All-Star team eight times; he won four Gold Glove awards; he was selected as the MVP of the NL Championship Series in 1978; he played in 14 seasons for the Dodgers; and he established a new NL record by playing in 1,207 straight games from Sept. 3, 1975 to July 29, 1983. (The streak was stopped when Garvey broke his thumb while playing for the San Diego Padres.) It is the fourth longest such record in Major League history! Nicknamed “Big D” because of his 6 foot 5 frame and competitive manner, Don Drysdale liked to pitch inside to batters and hit a total of 154, establishing a modern NL record. 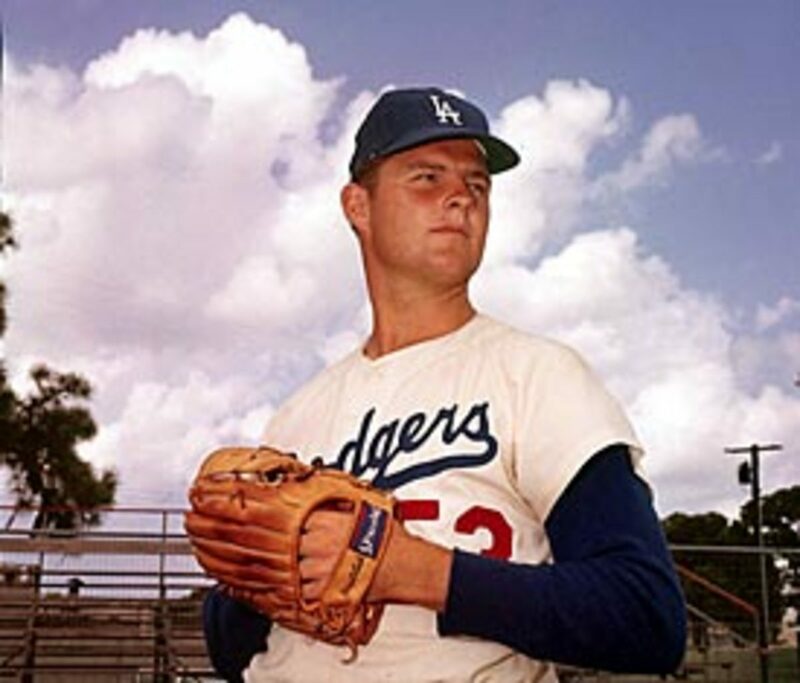 In 1962, Drysdale compiled a record of 25 and 9, with 19 complete games and an ERA of 2.83 and won the Cy Young Award (only one was given in those days). Moreover, Drysdale was elected to the All-Star team eight times and in 1968 he pitched 58 and 2/3 innings without giving up a run. Drysdale was also one of the best hitting pitchers of his era, batting .300 in 1965, and hit 29 home runs for his career. Interestingly, Sandy Koufax and Don Drysdale were considered one of the most potent pitching duos of all time. And, in 1984, Don Drysdale was elected to the Hall of Fame. 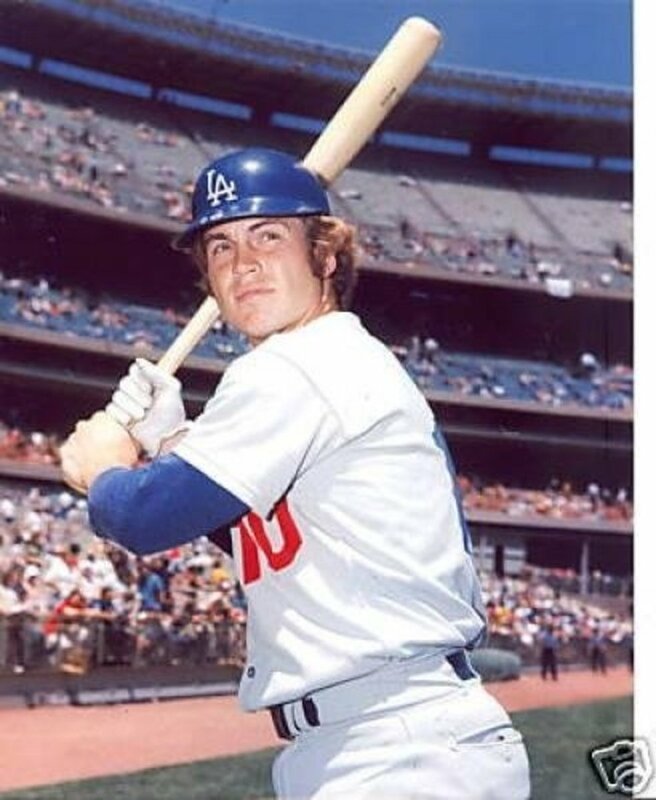 Nicknamed “The Penguin” because he was short and stout and waddled somewhat as he ran the bases, Ron Cey was an outstanding player for the Dodgers from 1971 to 1982. 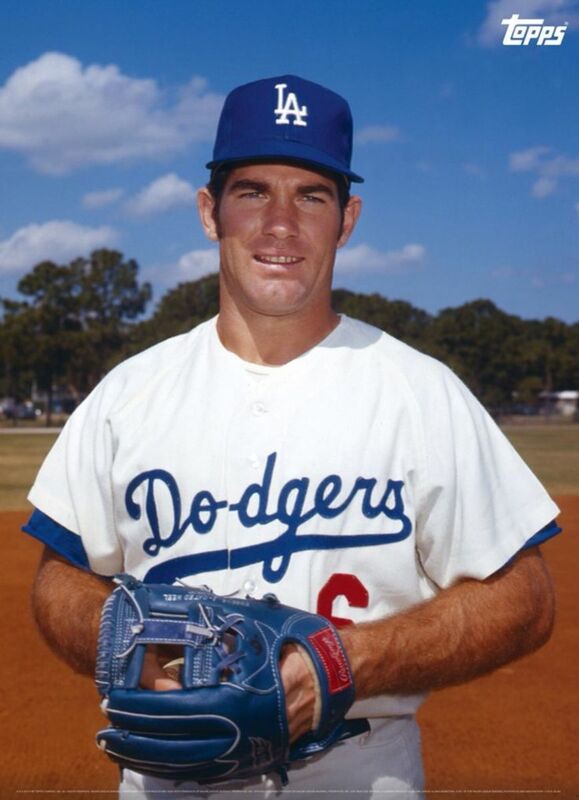 Cey played third base when the Dodgers had an All-Star infield that included Steve Garvey, Dave Lopes and Bill Russell. This impressive unit played together for eight and a half seasons, an MLB record. Cey also played for the Dodgers in 1977, when the team won the NL pennant, and that year's starting lineup may have been the best LA Dodger lineup of all time. That year Cey hit 30 home runs and knocked in 110 runs, the best such yearly totals of his career. In addition, Ron Cey was selected to six All-Star teams. 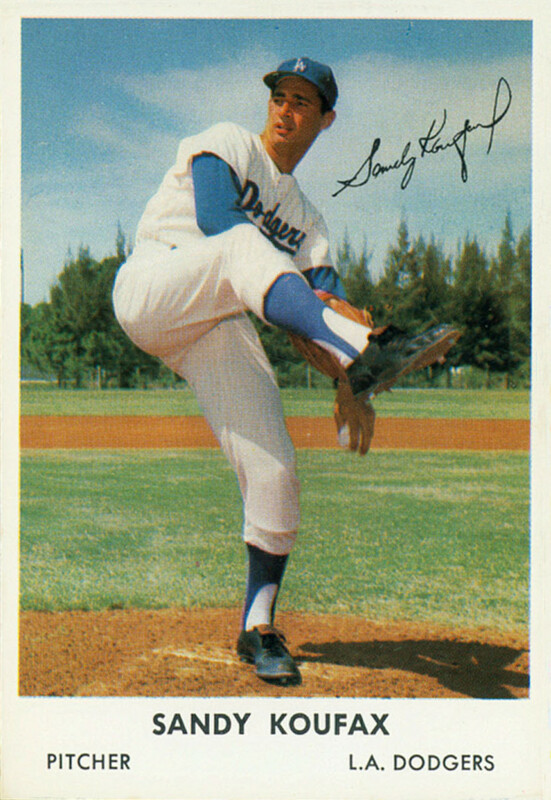 Nicknamed “Little D,” associating him with Don Drysdale’s nickname of Big D, Don Sutton arrived in the majors in 1966, joining a starting rotation featuring Sandy Koufax, Don Drysdale and Claude Osteen, which became perhaps the LA Dodgers’ best starting rotation of all time. Although Sutton never won a Cy Young Award and won 20 games only once—in 1976 when he went 21 and 10—he achieved career numbers that are truly impressive. Sutton won a total of 324 games, including 58 shutouts and 178 complete games and struck out 3,574 batters, seventh best on the all-time list. 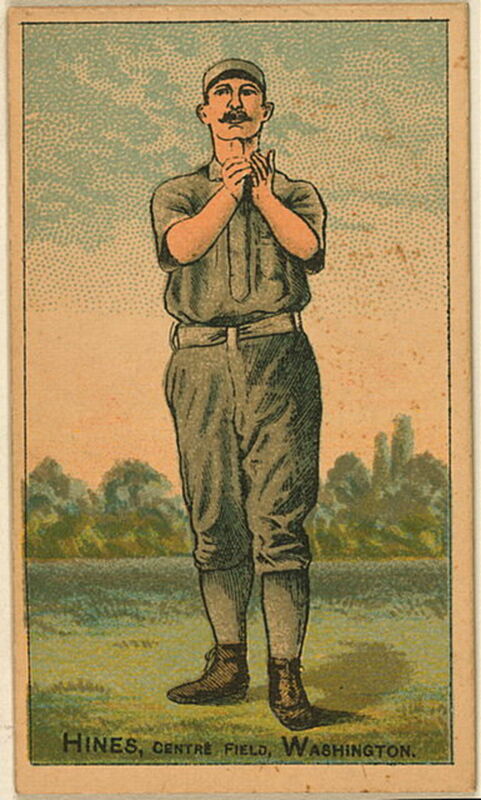 Playing 15 seasons for the Dodgers, Sutton’s career spanned 23 years. 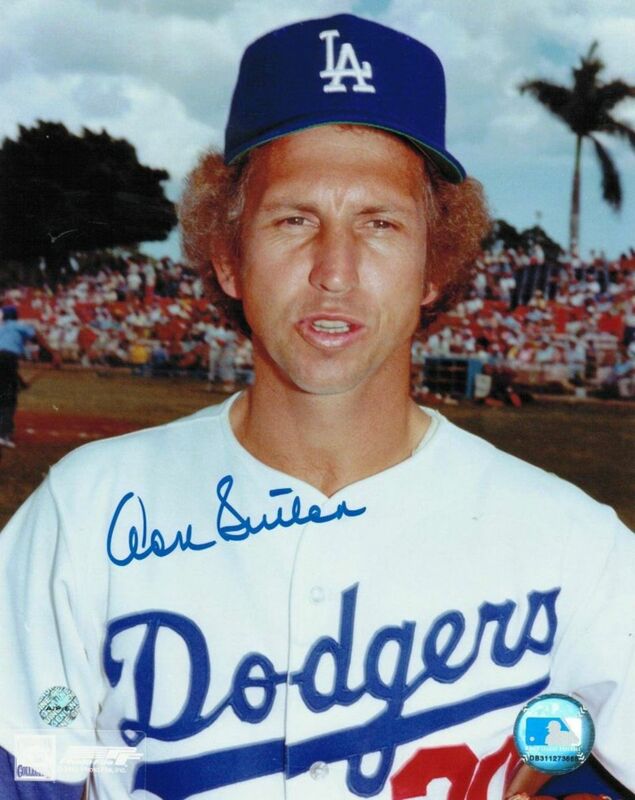 In 1998, Don Sutton was elected to the Hall of Fame. 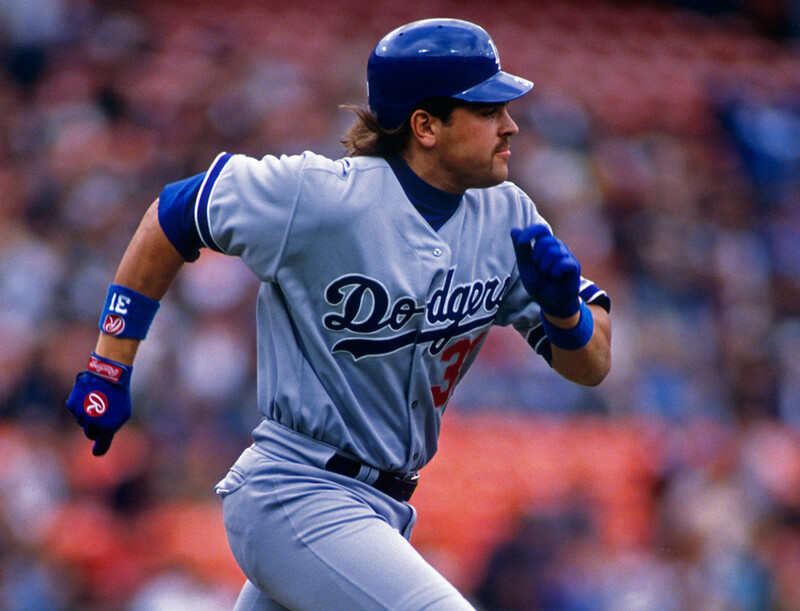 Eric Karros, a right-handed hitting first baseman, entered the majors in 1992, when he posted impressive power numbers: 20 home runs and 88 RBIs, good enough for winning the NL Rookie of the Year Award. Karros continued driving the ball, winning the Silver Slugger Award 1995. Karros also hit 30 home runs and knocked in over 100 runs five times during his LA Dodger career, the most any LA Dodger ever has (Duke Snider and Gil Hodges did it for the Brooklyn Dodgers.) Karros also hit 270 homers while playing for the Dodgers, the most ever for any LA Dodger. Moreover, Karros’ greatest year was 1999, when he hit 34 home runs, with 112 RBIs, a batting average of .304 and an on-base percentage plus slugging average (OPS) of .912. Davey Lopes was a member of LA Dodgers’ famous infield during the 1970s and ‘80s. Playing second base, Lopes provided a good combination of speed, defense and hitting for average. Lopes also hit for power, knocking 28 homers in 1979. 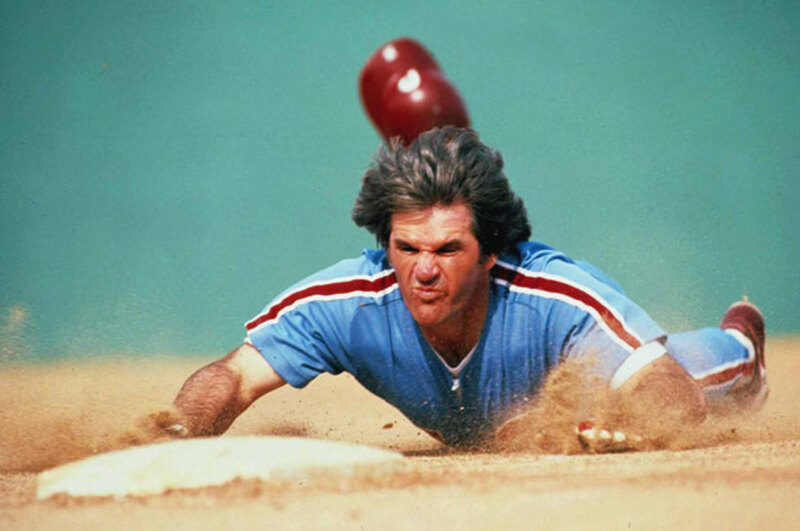 One of Lopes’ greatest claims to fame was that he stole many bases, including 77 in 1975; in fact, nine out of his ten years with the LA Dodgers, Lopes stole at least 20 bases per season. 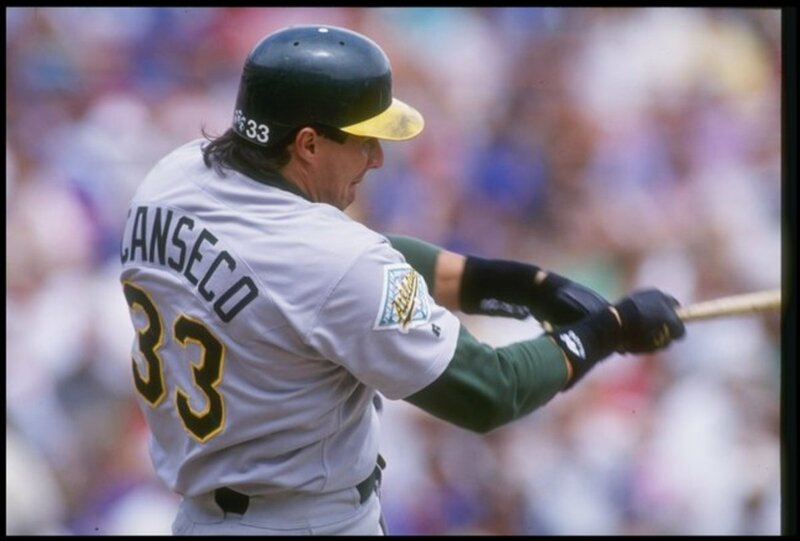 Lopes also achieved an OBP that was well above .300 each season. Another hallmark for Lopes’ Dodger career is that he batted lead-off for a Dodger team that won four NL pennants and one World Series championship. 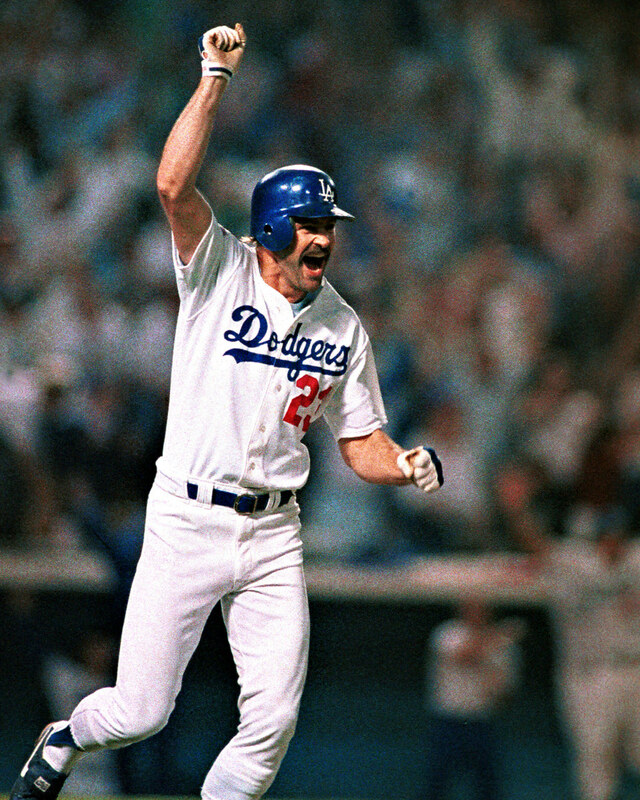 Kirk Gibson didn’t have a long, illustrious career with the LA Dodgers, but he certainly became one of their greatest heroes and perhaps their greatest free agent ever in 1988 when he hit a walk-off home run to win game one of the 1988 World Series, often regarded as one of the most iconic moments in MLB history. Of course, this blast propelled the Dodgers to a world championship that year. Gibson snatched another honor that year by winning the NL MVP Award, as he batted .290, with 25 home runs, 76 RBIs, 106 runs and 32 stolen bases, not incredibly great numbers, but the value of his leadership for a championship team was undeniable. Left-handed starting pitcher Tommy John is probably best known for the revolutionary surgery that was performed on his pitching arm in September 1974. Now known as Tommy John surgery, invented by Dr. Frank Jobe, this procedure replaces the ulnar collateral ligament in the arm with a tendon taken from another part of the body. Few people thought the procedure would work—but it did! In fact, Tommy John won another 164 games after the surgery! 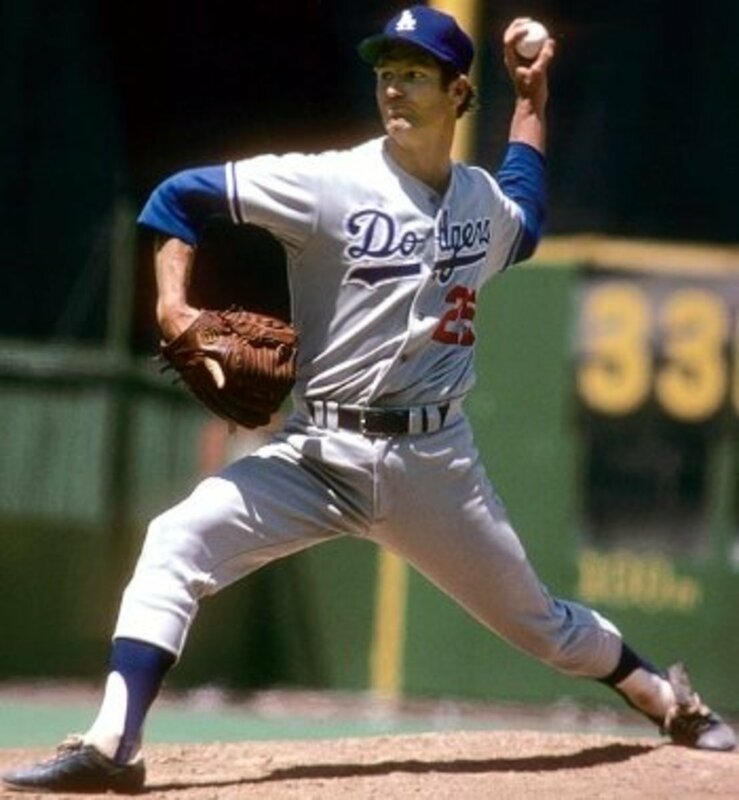 A sinkerball specialist, John had six great years for Dodger Blue, particularly 1977 when he went 20 and 7, with a 2.78 ERA and 11 complete games, and he was runner-up in the voting for the Cy Young Award that season. Willie Davis replaced Duke Snider in center field when he came to the LA Dodgers in 1960, having a great combination of speed, defense and hitting; in fact, Davis was considered one of the fastest players during the 1960s. In 1962, Davis had his best year, batting .285, with 21 home runs, 85 RBIs and 32 stolen bases. Notably, Davis was a great triples hitter; in 1970 he hit 16 and 110 for his career as a Dodger. 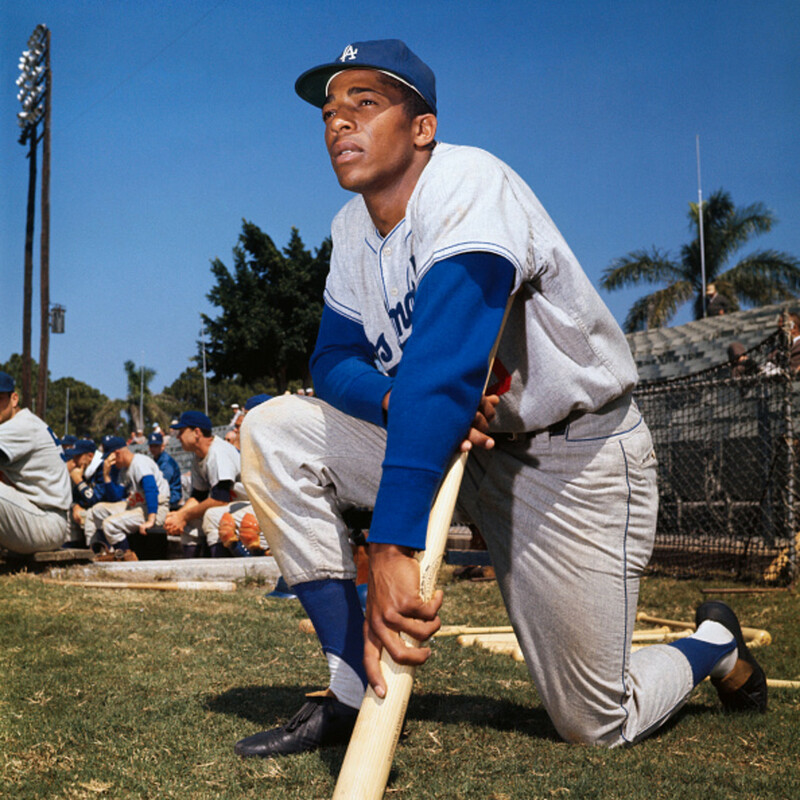 In 1969, Davis had a 31-game hitting streak, the longest ever for any LA Dodger. Moreover, Davis leads all LA Dodgers in many hitting categories, including hits, runs and extra base hits. Playing 14 seasons for the LA Dodgers, Davis may have been their greatest all-around center fielder. How could you leave out Tommy Davis from this list of the greatest Los Angeles Dodgers? I can think of 30 dodgers in front of baker. There were 5 players better then him on any of the teams in l a that he ever played on. Grandma must have herd conver and made this list. 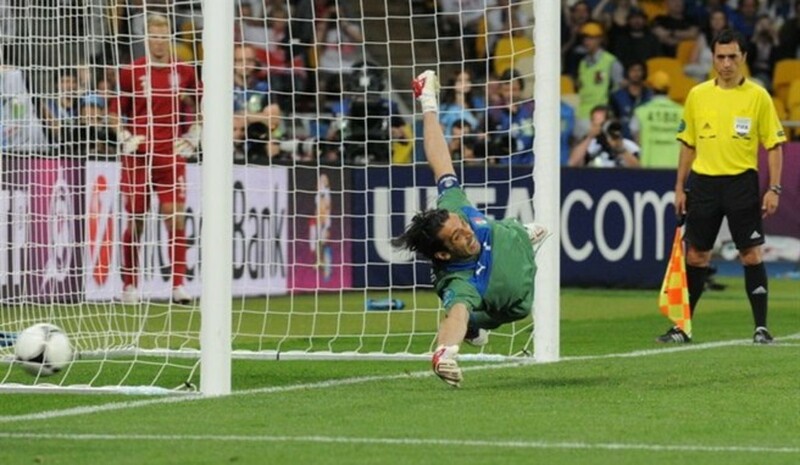 Wheres R. Smith at that time. Baker, I could outplay him. Hey, Mario Furnari, Duke Snyder's power numbers decreased after he moved to LA, but many fans would probably pick him anyway. I almost did. Anyway, thanks for the comment! How about Duke Snider? I know most of his playing career was in Brooklyn but still it’s the Duke! Baker, Lopes don’t belong on that list. I’d would have rather seen Eric Gagne, Tommy Davis. Honorable mention Pedro Guerrero, Steve Yeager, Mike Scioscia. 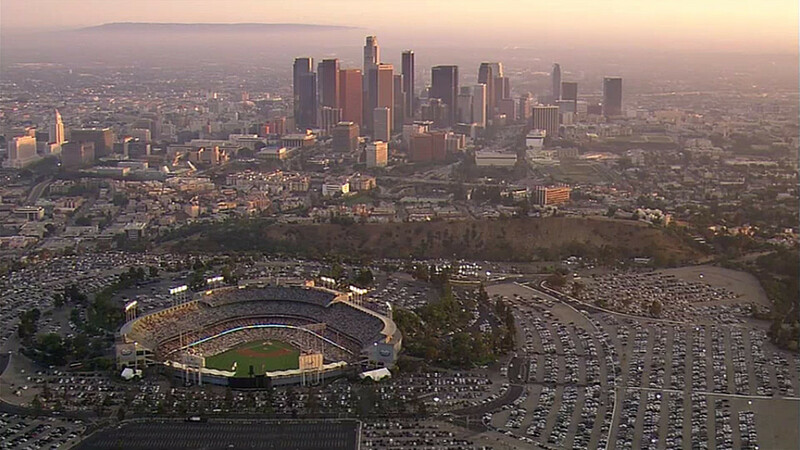 What a deal - as a Reds fan, being in the same division with the Dodgers in the 70's & 80's. What a memorable bunch of players! Thanks for the comment, catfish33! This list is only for retired players; otherwise, Kershaw would be on it, of course. Later!